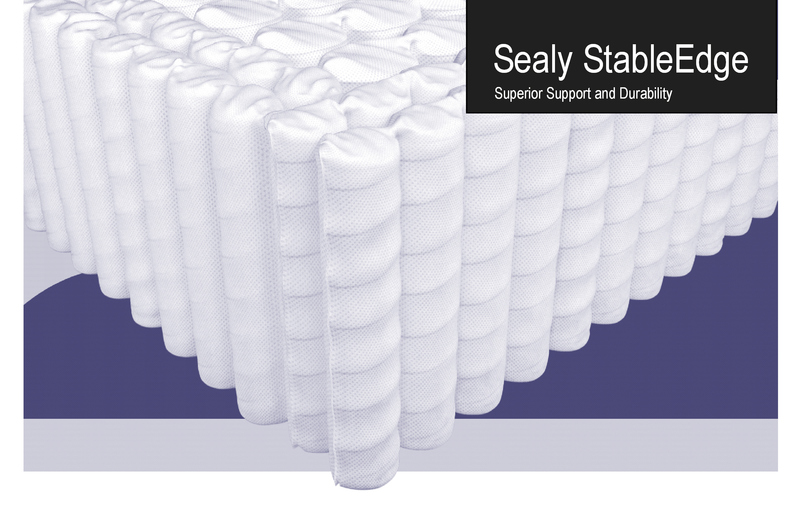 At the heart of a Sealy mattress is the support you need for a great nights sleep. This mattress has the exclusive CoreSupport Center to deliver additonal support where you need it most, paired with exceptional all-over support and pressure relief. This mattress features smart innovations, precise engineering and industry-leading testing to ensure quality and durability for years to come. StableEdge System high density, flexible border surrouinding the mattress for better edge support, more usable sleeping Surface and improved durability.